The ceramic stove (or pech’) is a sister to the German kachelofen and the Finnish kaakeliuuni or tulikivi, and close kin to the Japanese kotatsu. Its larger purpose is to warm the home, but it also serves as a status symbol and as a place for relaxation. 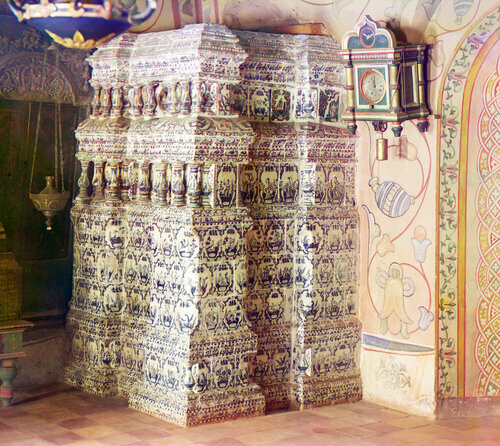 In the nineteenth century, the ceramic stove was a central part of the ideal Russian home. 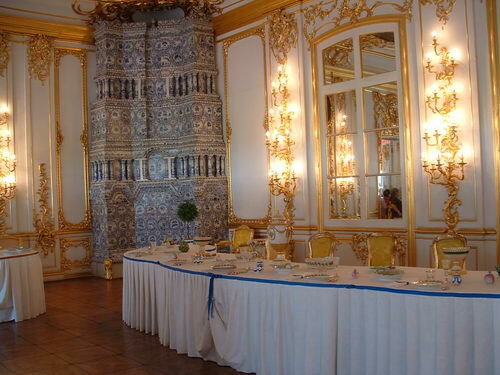 Especially in upper-class households, these massive stoves were often beautiful and ornate, with gleaming fixtures and glazed tiles in a multitude of attractive colors. 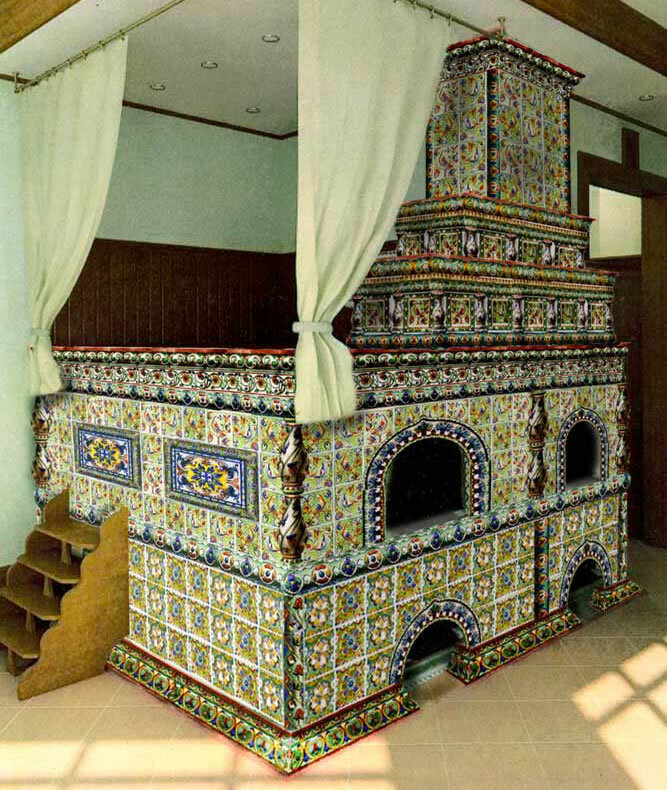 They were frequently designed to include seating or beds, allowing the residents and their guests to sleep or converse in comfort. Even the most workaday ceramic stoves were efficient heating sources for the household. Some sources say that a single tree could heat an entire house through a long, cold winter.